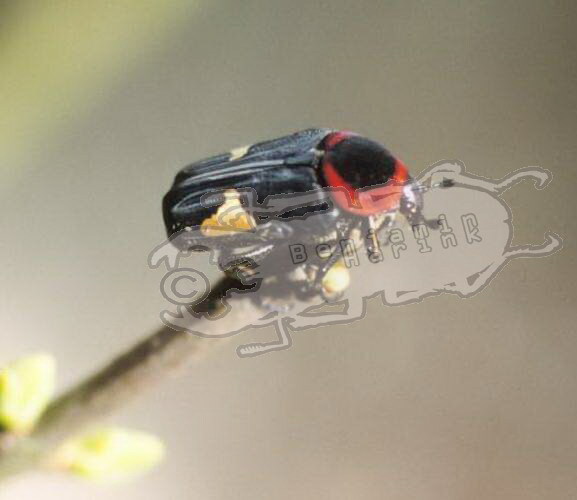 While most breeders prefer the big and showy species, this article is aimed at the smaller species, that are not often named in articles about flower beetles. These small ( up to 1,5 cm in size) species have many advantages. For instance: You don´ t need much space to breed and keep them: Boxes of 1 to 2 litres are enough for 10 to 20 animals. On the other hand smaller species often compensate their size with brilliant colours and/ or a real interesting behaviour, which I will report about in the species descriptions that will follow. 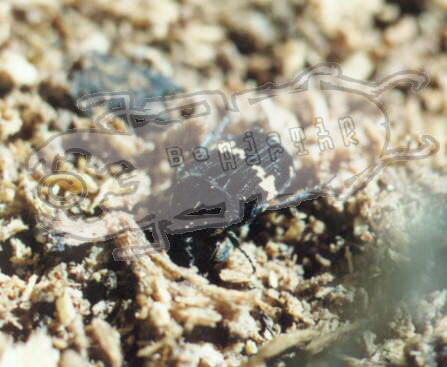 Another advantage is the relatively short time of Larval development (Less than three months is not unusual!!). 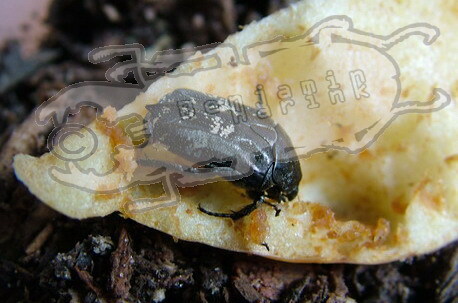 So, it is possible that the parents are still alive, when their offspring is hatching and that IS unusual for to breeders of beetles! 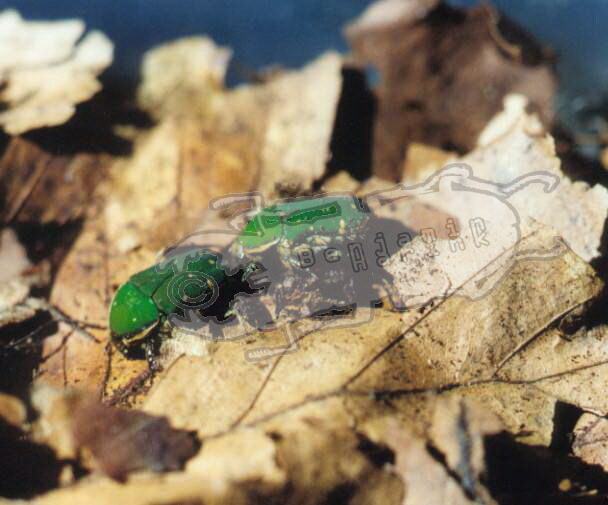 Convince yourself of the advantages of smaller species, their coloration, behaviour, whatever. A small species oversight will be given. 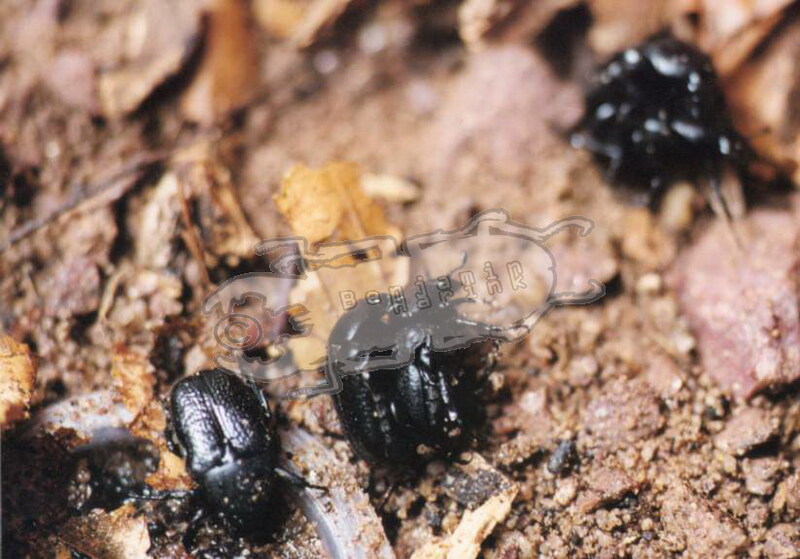 If you keep small beetles and would like to write your own species report, or in the case of interest for these small species, please write to me. 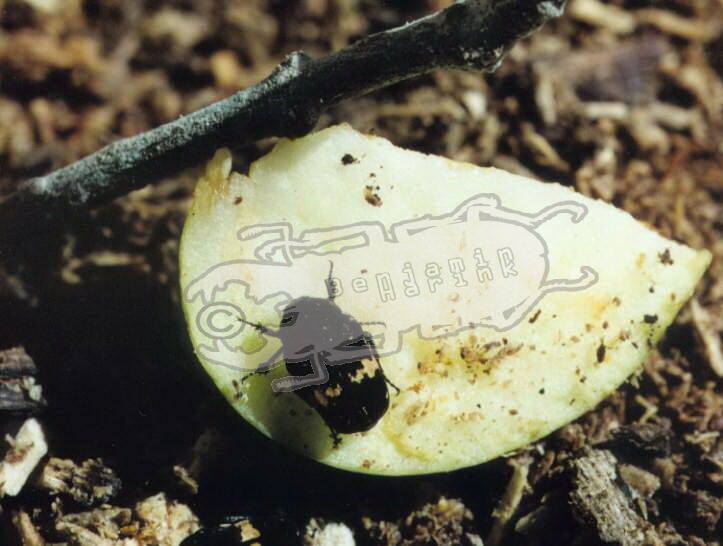 A weird thing in all Glyciphana is their love for apples (Sweet ones). Imagos will eat on these apples until everything is devoured…. 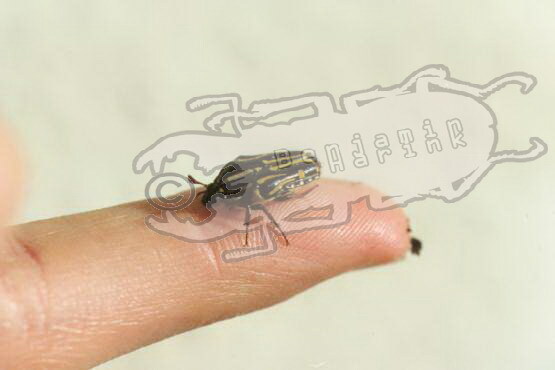 This about 1 cm big species comes from Thailand. It seems, that Ixorida regia is imitating wasps, as her moves, short and fast and then waiting , resemble those of wasps perfectly. 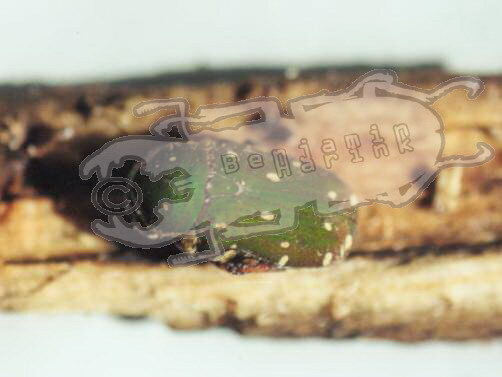 This species is extremely active and it often happens that they escape from their container, when I am opening it to through food in. Catching them is difficult and when you finally got them they are acting like dead just to use their chance to escape, when you are looking what happened to them. 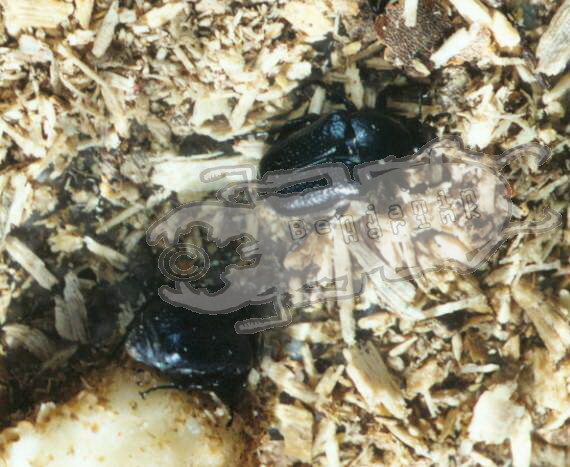 Keeping and breeding like Glyciphana. the duration of development is extremely short.. It is a pity that I lost this species. Should you come across this any time, please let me know. Most of the Oxythyrea come from Europe. Their coloration ranges from dark brown to black to grey, their body is covered with white spots and sometimes very hairy. I kept them in one litre glasses, on a substrate of crumbled leaves, and had good success using this method. In captivity adults feed on banana or peach, whereas, in wild they are often found on thistle flowers.. Sadly, I was not able to successfully breed this species. 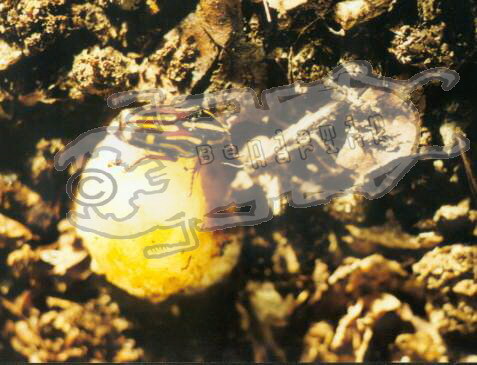 After being in pupal stage for quite along time, the imagines hatched out and lived quite long, but did not lay any eggs… As far as I know at least P. Malec was successful on that species. For a few breeding inputs check out his pages. 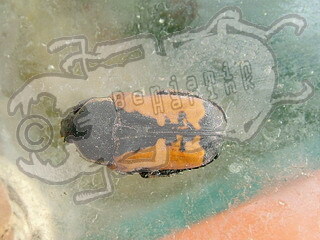 This is a small species from in Thailand. 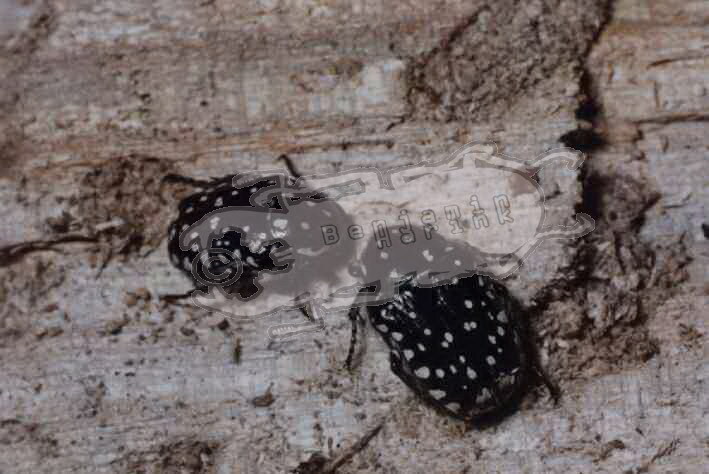 I found them first two years ago in Krabi and in Phitsanoluk on trees of Indian almond, where they visited the flowers of this tree quite frequent, together with Protaetia fusca. This year I found a single pair on bushes sucking tree sap on Kho Pha Ngan. 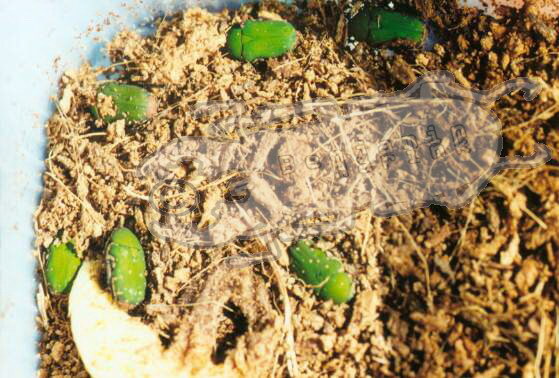 They are very easy to breed, they need a substrate of crumbled wood and will lay many eggs. 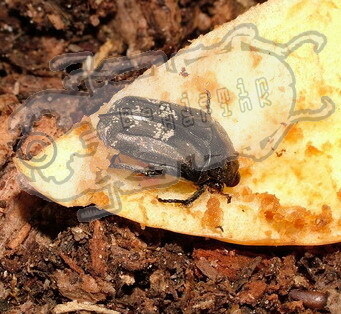 I have them in my breedings again this year, and the larvae are L3 after one month of eating.